Finally decided to buy a fitness band? If you’re starting your journey with fitness bands and don’t want to burn a hole in your pocket, this review article is for you. In this article, I will be covering reviewed of the best fitness bands under INR 2000 in India. Note: The prices of these bands keep on changing on a daily basis. Some of the bands may show the price as a little over 2000 on some days. I try my best to keep in this review updated. In case you’re in a hurry, here are my top three recommendations for the best fitness bands under INR 2000. In this article, I have reviewed the best fitness bands under 2000 that you can buy online in India. Before I tell you about these fitness bands, let me tell you the difference between a cheap and an expensive fitness band (such as Fitbit or Garmin). The more expensive fitness bands come with advanced functionalities and better build quality. If this is your first time buying a fitness band and all you’re looking for is a band that can help you be more active, you can give any of the fitness bands listed here a shot. More expensive fitness bands offer functionalities such as a display, heart rate tracker, blood pressure monitor, reminders, waterproof, display of message and call alert, etc. If you don’t want such advanced features, a basic sub-2000 fitness band is good for you. There are many options available when you look for a good fitness band under 2000. So to help you out, I have done extensive research and shortlisted the best fitness bands under 2000 INR. 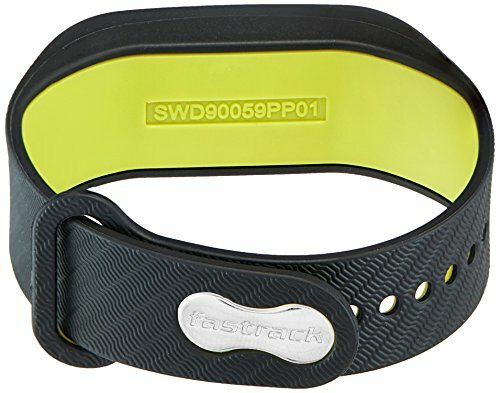 I have been using Fitness bands for more than 4 years now and have personal experience with many of the fitness bands mentioned here. Below is the table that shows all the fitness bands under INR 2000 covered in this review. Now let’s have a look at the detailed reviews of each of the fitness bands under inr 2000 covered in this article. Xiaomi MI Band 3 is the latest version of MI band and has been launched with some significant improvements. As of now, it’s the best fitness band under INR 2000 in India. If you’re starting out with Fitness band, this would be my recommendation. This new band comes with a 20-day battery backup and an OLED touchscreen (the previous versions didn’t have a touchscreen). Its screen can display messages and notifications and can also be used to accept or reject calls. You can also set alarms and get event reminders on the fitness band (it vibrates to let you know). It’s water-resistant for up to 50 meters. It also has an idle alert that reminds you to take a walk and do some activity on prolonged idleness. Personally, I find the idle alert to be a huge positive. When a fitness band reminds you of inactivity, you’re more likely to get up and take a walk. This may seem small but has a huge health benefit in the long run. To use this fitness band, you need to pair it with the MI fitness app and can work with both iOS and Android devices. The core of the band is detachable from the strap, and you can plug it in charging after removing it. Since it comes with a 20-day battery life on one recharge, you don’t need to do this often. You can download the MI app on any Android or iPhone device and sync in real time. Also, when you have installed the app, it automatically unlocks your phone as soon as the apps come in proximity to the phone. This helps as you don’t have to unlock it again and again. When the band is not close by, the phone would remain locked and would need the passcode (or whatever way you have used to unlock the phone). Note: The glass of the band is prone to scratching. You can use a scratch guard to avoid this from happening. This fitness tracker is another one of my favorites and I’ve used this fitness band for six months. The GOQii Life fitness band has been designed by an Indian Entrepreneur based in Silicon valley – Vishal Gondal. This advanced fitness tracker will track your daily steps, calories burned, distance covered, active hours and sleep pattern. 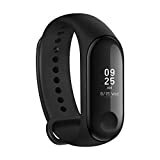 The best part about this fitness band is you will get a qualified personal coach and a certified doctor to review your data and to guide you to achieve your health goals. Along with these features, you will get basic features like call alerts, SMS and WhatsApp notifications and steps counter. The step counter is very impressive with almost 90-95% accuracy of total steps you take. It offers a battery backup of 7 days. Also, it has an integrated USB charger and you can charge it using a laptop, power bank or any regular power socket. The display is quite small in this band and its kind of hard to see in daylight as the display is not that bright. The band is made of silicon and very sturdy so you can wear it all day long. With the purchase of this band, you get 3-month FREE subscription to the Personal Coaching. You get online personalized feedback from the coach that you select. You can choose a coach at the starting of the subscription. Needless to say that all coaches are handpicked and experts in health, fitness, and exercises. Once your 3-month FREE personal coaching subscription is over, you have an option to go for 3 months/6 months/1 year subscription for unlimited personal coaching sessions. This would be charged extra. Note that the personal coaching feature is an add-on. If you don’t want to use it, you can just avoid it and use the Goqii fitness band as any other regular fitness band. Overall The GOQii Life Fitness band is one of the best fitness trackers in India and certainly very affordable if you are a fitness freak who wants a deep understanding of their active lifestyle. Related: Read the full review of GOQii Fitness Band here. 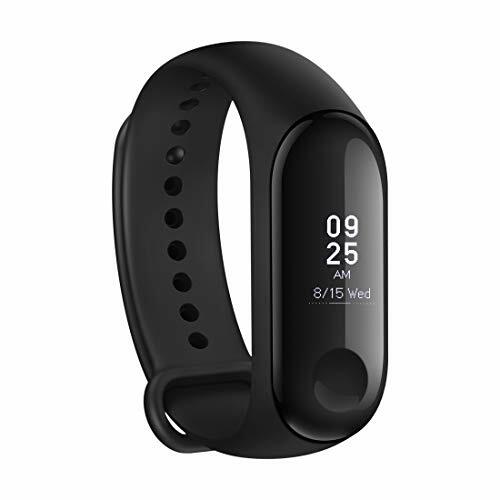 The MI fitness band from Xiaomi is the best one if you are on a budget and would like to start making changes to your lifestyle by looking at your daily activities. It is one of the cheapest fitness band in India. If you’re looking for a fitness band below Rs. 1500 then this is the best choice for you. 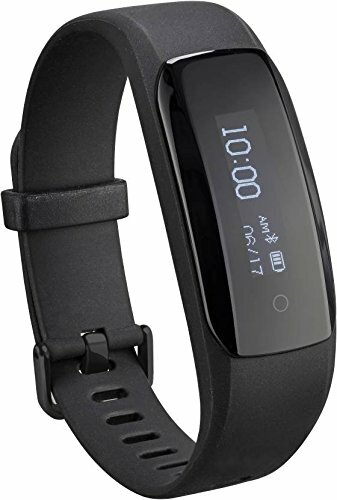 With this fitness band, you will be able to use features such as step counter, sleep monitoring, heart rate monitor, alarm clock, incoming phone call alert, etc. This fitness tracker will give you all the features that are available with other high-end fitness bands available in the market. It is water-resistance and has an impressive battery life of 30-day. 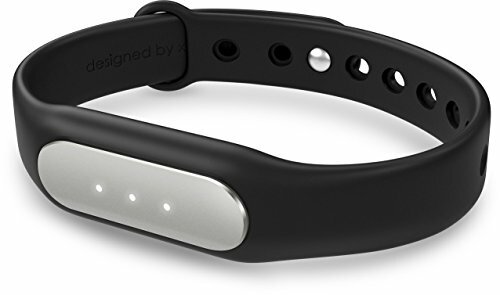 When it comes to the pedometer feature of this band, it pretty much gives 80-90% accuracy for the number of step counts. 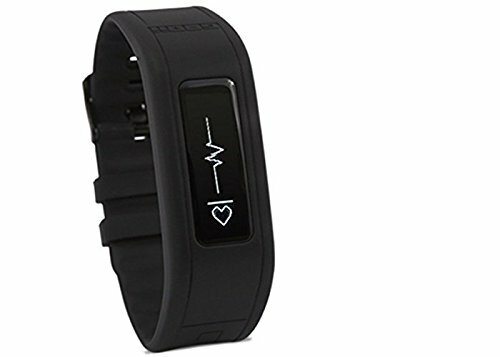 The heart rate feature of this band is not that effective and therefore don’t pay much attention to the heart rate. The Xiaomi Fitness band syncs well both with all Android and iPhones smartphones. You can download the MI band app and connect with the MI fitness band to sync in real time. When you have installed the app, it automatically unlocks your phone as soon as the apps come in proximity to the phone. This helps as you don’t have to unlock it again and again. When the band is not close by, the phone would remain locked and would need the passcode (or whatever way you have used to unlock the phone). Fastrack is a popular watch brand in India and is owned by Titan. Fastrack Reflex is the first fitness band by Fastrack and was launched in 2017. Overall, this is a decent fitness band under INR 2000, but when you compare it with the likes of MI or Goqii, then it falls short on expectations. Let’s first talk about the good parts. Since it’s designed by the company that has been known to understand young crowd, this fitness band is a lot likely to find takers among students and college goers. It comes in attractive color combinations and does the activity tracking part well. You can track the steps, distance and calories burned using it. It can also track your sleep and has an idle alert as well. It has a battery life of 10 days and comes with an integrated USB chargeable battery. This means that you can directly plug in any USB port of laptop or power bank. It also has a phone finder feature which helps you track your phone in case you put it somewhere and can’t locate it. It also has a camera control feature that allows you to control your camera from the fitness band screen. All these make it a decent fitness band. A few things that aren’t that great about it include a little bulky size and not-so-great app on iPhone and Android. When you compare the app experience of Fastrack Reflex 2.0 with MI or Goqii, you’ll find it quite basic which does the data collection part well, but nothing more than that. Having said that, I still find it a good option as app updates are independent of the band and you can benefit from any future updates that are done to it. This band is water-resistant and can tolerate a few splashes of water. Overall, if you want a band that looks a lot better than others, you can go for this one. This fitness band from Lenovo with Physical Activity Intelligence (PAI) is probably the least impressive one in this list. The biggest area where it lets down is the accuracy of its tracking. A lot of users have reported it being inaccurate, which ends up defeating the purpose of having a fitness band. You can use this band with Lenovo Health app and it measures steps, heart rate, sleep and also gives you a score based on your goals. Now le’s come to the most distinguishing feature of this band – the PAI score. I really like the fact that they have given a simple PAI score that you can track – instead of different metrics such as step count, heart rate, etc. What this means is that instead of just showing you the step count, it tracks your activity over time and tells you whether you’re living a healthy and active life or not. So for someone who doesn’t want to get into different metrics and make sense out of it, they now just need one metric to track – the PAI score. It’s has a decent battery that can last an entire week on one charge. If you’re planning to buy a fitness band under INR 2000, you shouldn’t be looking at advanced functionalities such as water-proof or heart rate. Even if these features are there, these are not likely to be great. Instead, there are some basic features that you should consider to make sure your purchase is a great one. In most cases, these fitness trackers under 2000 have a great battery life. Most of these trackers offer a battery life of more than 5 days on a single recharge. MI 3 Band (our top recommendation) has an impressive battery of 20 days. Any fitness band offering battery life of fewer than 5 days on a single recharge should not be considered. Also, remember that battery life keeps going down as you use the fitness band. So it’s better to have a good battery, to begin with. In most cases, the display screen of these fitness bands under 2000 would be a basic one. Both MI 3 band and GOQII Hearth Care tracker has an OLED display which shows idle alert, call/SMS/WhatsApp notifications. It also displays step count, time, date, etc. With MI 3 band, you can also accept or reject incoming calls. It’s better to have an integrated charger that you can plug directly into any USB port. MI 3 (our top recommendation), GOQII Heart Rate Tracker, and others mentioned in this article have integrated chargers. In most cases, the accuracy of the step counter would be within -10% to 10% of the actual activity. Most of the trackers in this range have a decent accuracy level when it comes to stepping count accuracy. One area where I have found these trackers to be lagging is not counting the steps when traveling in a two-wheeler, auto or car. I have seen these under INR 2000 fitness bands as well as some 10,000+ bands to have this drawback. Fitness apps are a crucial piece in achieving an active lifestyle using fitness bands. While the app of established players such as MI and GOQII are great, Fastrack has a basic app which needs a lot more work to compete with bigger players. If we only talk about the apps, I find GOQII app to be the best of the lot. While there are a number of fitness bands available in the market these are the five Best Fitness bands below Rs. 2000. My personal recommendation is you should go for either MI band 3 from Xiaomi or the GOQii (with a minimum of 6 months coaching).